In January 2012, BMW kicked off a two-year field trial for its first-ever all-electric car, the BMW ActiveE. Its 700 drivers – the BMW Electronauts – provided quantitative and qualitative driving data about the electric lifestyle to guide BMW’s production of its first mass-produced EV, the BMW i3. We created a personalized, interactive experience site for our BMW Electronauts to explore the effect of every electric mile they had driven in the categories of Range, Savings, and Environments. They could also explore the collective results from the entirety of the field trial and see where they stacked up against their fellow Electronauts. Finally, a public-facing version of the site helped showcase the real-world benefits of driving an electric vehicle while also highlighting the electrifying impact of the BMW ActiveE Field Trial. To commemorate their participation, we created a personalized keepsake book that highlights their experience. 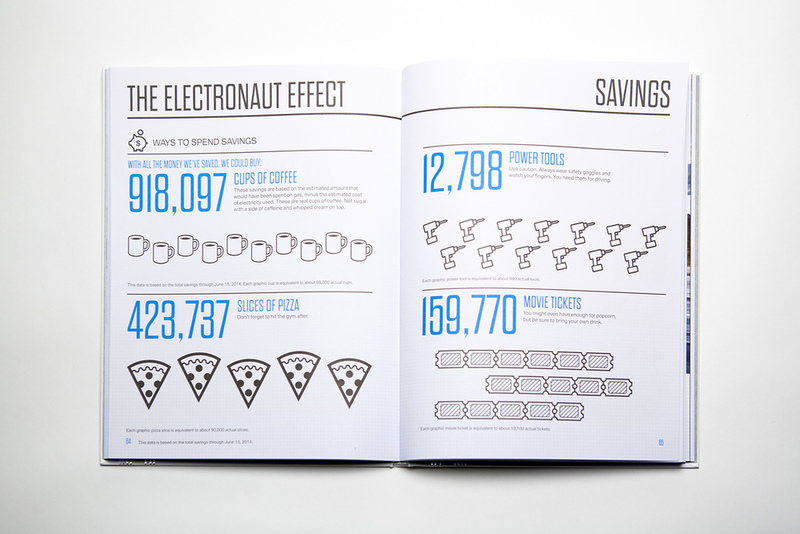 It includes select posts from Electronaut bloggers, photo galleries from driver-organized events, their collective driving data – as well as space for Electronauts to fill in their own stats – and more. It was a simple way to say thanks and further encourage brand loyalty. We created an Electronaut video guide called "What Else Can Your Car do?" 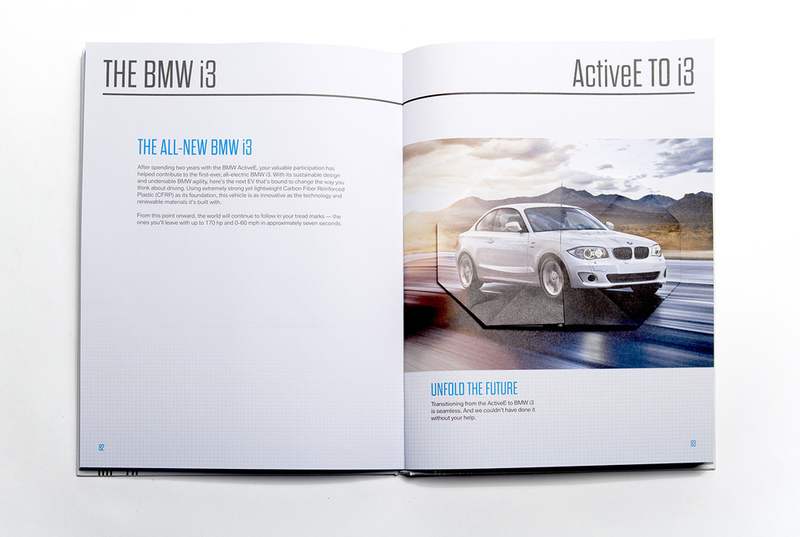 to educate our BMW ActiveE drivers on various features and help them fully take advantage of their EV. These are far from your standard product videos, so go ahead and watch a few. These two print ads ran in the electric vehicle trade magazine Plug In America.